April 6, 2014 February 26, 2019 - The 'Noms. Mrs. Nom made pear crisp this evening, so we set out to find a dessert cocktail that would be a nice match to the sweet treat. 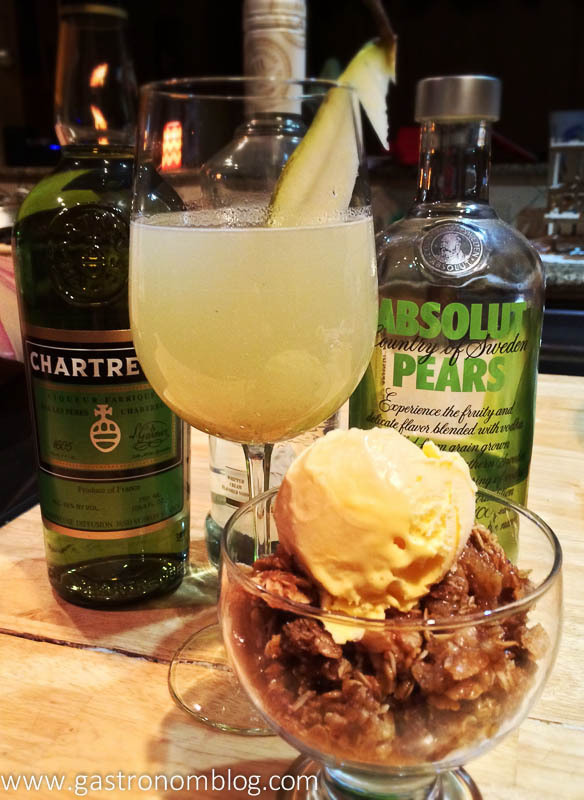 We came up with the pear crisp cocktail, with paired nicely with the pear crisp. Sweet enough to pair up with the dessert, but with a hint of herbal freshness from the Chartreuse to cut the sweetness. A cocktail based on a classic dessert, the pear crisp. Pour the Vodkas, simple syrup, lemon juice, pear syrup and chartreuse into an ice filled shaker. Cut the pear into chunks and place into a small pot with water, sugar and salt. 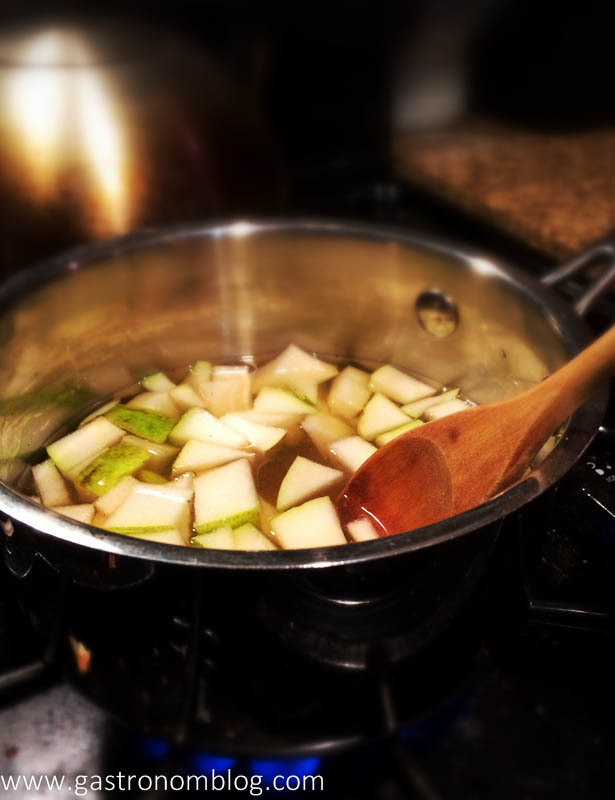 Bring to a boil and simmer until the pears are tender. Blend to fully infuse the pears into the syrup. Strain with a fine mesh to retain the liquid. Cool. Can be stored for around a week in the refrigerator.